Building Birmingham: A tour in three parts of the building stones used in the city centre. Part 1 leads from Birmingham Town Hall to the Cathedral, Part 2 visits Centenary Square and Brindley Place and the third walk examines the stones used in the retail districts including the Bullring and Grand Central. 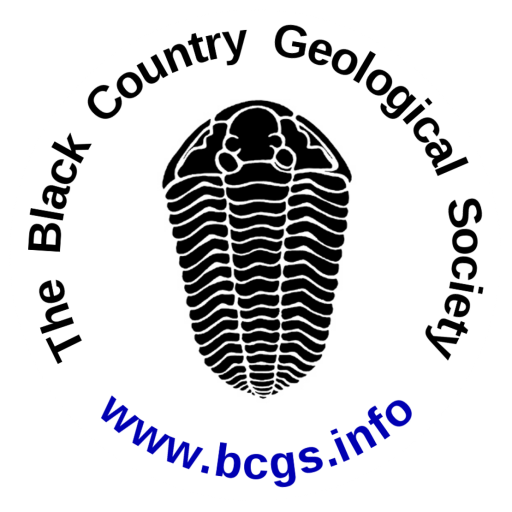 These trails have been produced by Ruth Siddall in collaboration with and on behalf of the Black Country Geological Society, with help from Julie Schroder and Laura Hamilton. All three trails have been adapted for the BCGS web site by John Schroder, with additional photos, maps, and definitions. See Ruth’s Urban Geology website for many more building stones trails, mainly in London. The web pages below have been designed for viewing on mobile phones as well as desktop machines so you can follow the trails while you walk. Hover over (or click if you have no mouse) words in red to see a definition (usually taken from Wikipedia). The stone varieties listed in green in the trail text can be found in our Index of Stones. The index also shows some of the buildings where the stones can be found and gives reference information about the stones. The pins show the sites visited on all three trails. The walks are copyright ©Siddall, Schroder, Hamilton 2016. Walks updated 2019.